Designed to be used for indoor or outdoor weather activities, this self-contained unit is constructed of heavy molded plastic. 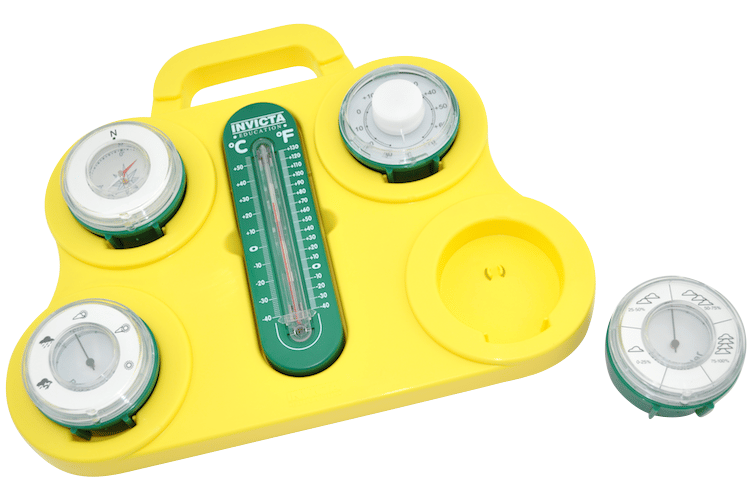 The maximum/minimum thermometer fits in the center recess and the hygrometer, barometer, compass and dial thermometer fit interchangeable in the other recesses. Includes instructions for each instrument.